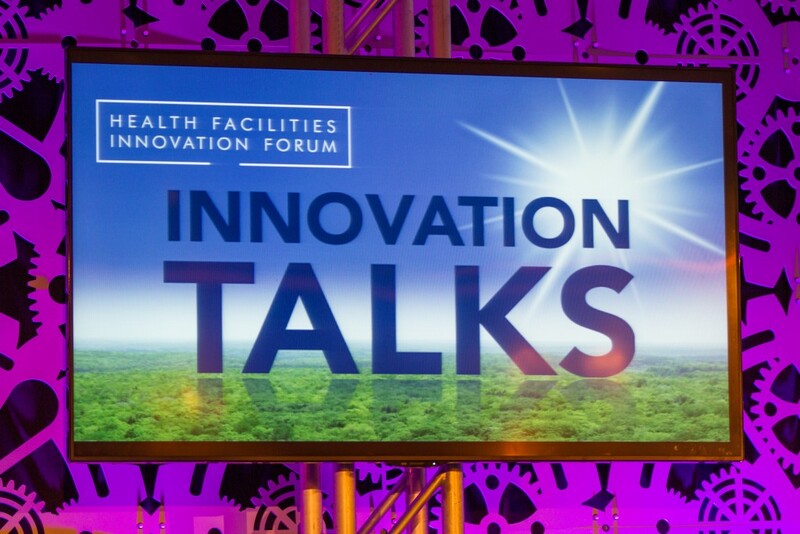 HCA’s Brian Weldy shared his thoughts on Intelligent Building Technology at the Health Facilities Innovation Forum. 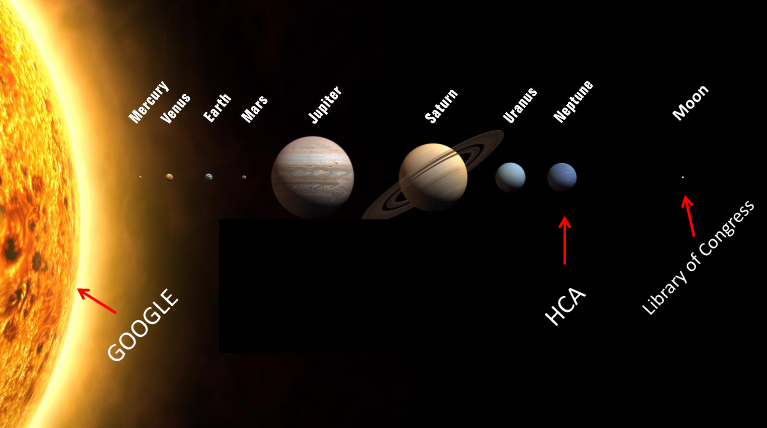 Comparing healthcare data storage to the solar system may seem like a bit of a stretch, but HCA’s Brian Weldy makes this analogy work. While hospitals have begun the process of collecting extensive data on patient care and overall operations, the next step toward achieving maximum efficiency is figuring out how to best analyze the data they collect, a major challenge, says Weldy. 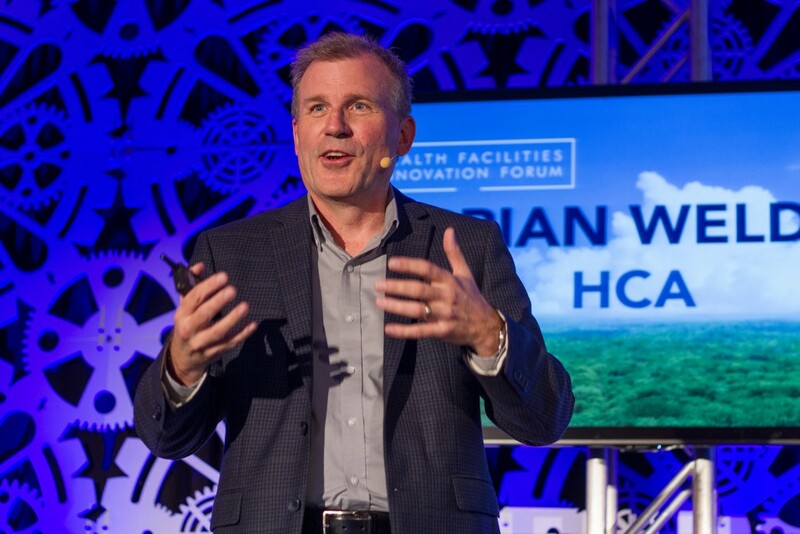 The VP of Engineering & Facilities Management for HCA shared his thoughts during an engaging talk on Intelligent Building Technology at the Health Facilities Innovation Forum. For healthcare facilities execs, at this stage it takes a little imagination to see all the possibilities for optimizing buildings, says Weldy, drawing an analogy to the solar system. Google has enough data stored to fill the sun, information stored in the Library of Congress could fill the moon, while HCA falls in between, with enough data on file to fill Neptune, the 3rd largest planet with a diameter of 29,297 miles, compared to the Earth’s 7,928 miles. One frequently used form of data collection involved “snapshot data,” which includes data pulled when the jet is taking off, climbing, cruising, descending and landing. Though this “snapshot” method pulls information at key points throughout the flight, it’s not comprehensive. “Data is missed with this process alone,” he emphasizes. Beyond snapshot data there is more data that is also collected from the engines that is stored on the plane for future download for detailed analysis. A combination of all this data helps to provide clarity on what is really going on with the engine’s performance and operation. Weldy ties this analogy back into efficiently managing buildings, especially hospitals and other medical facilities. As with many aspects of life, finding the right balance between being overly conscientious and negligent is key. “We can take this idea of a snapshot and apply it to a building. For buildings that use this ‘analytically based maintenance,”’ he explains. 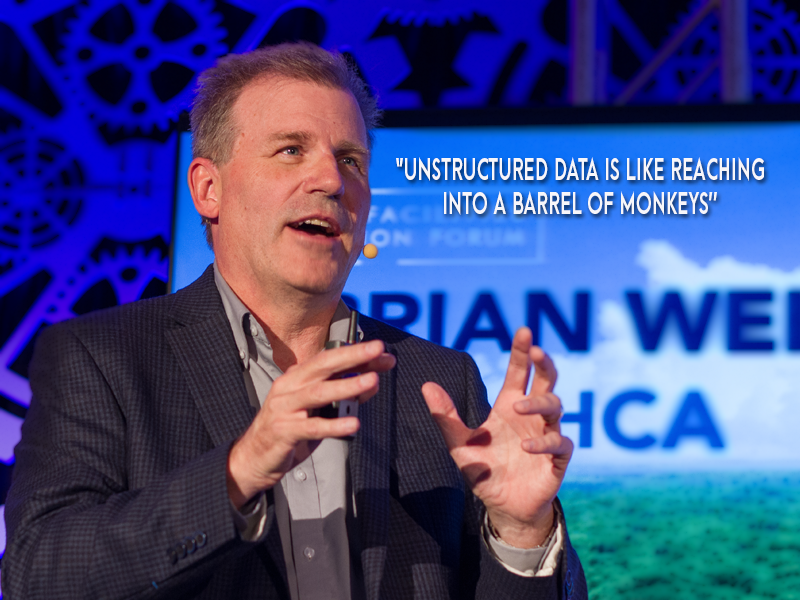 Weldy makes an important distinction between “structured” and “unstructured” data, emphasizing that at this point in time, many large organizations (like his) have collected copious amounts of information, desperately in need of analysis. “Are you ready for the train? It’s going to be a fun journey and enjoy your time,” Weldy concludes. You can watch Weldy's full talk below.